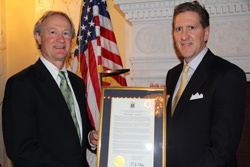 Rhode Island Governor Lincoln Chafee recently presented Ned Capozzi with a Gubernatorial Citation commemorating MD+C's 80th anniversary. 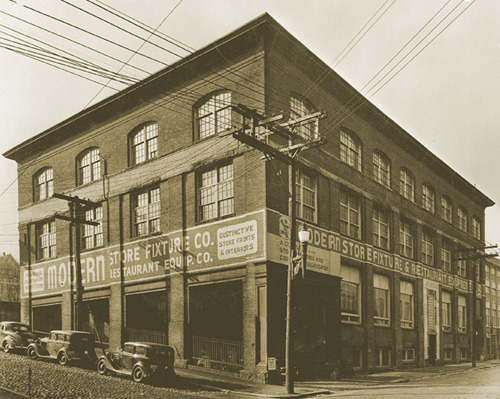 Established in Providence, RI in 1932, the firm evolved in response to the need for newly designed hospitality and retail stores following Prohibition’s repeal. Bold concepts called for one plan, one responsibility, and one price. Ned Capozzi, Jr., President and third generation of the founder, joined the firm in 1982 and expanded MD+C’s focus to include high-end residential and corporate projects. Today MD+C employs 35 design and building professionals who collaborate on 25 major residential, corporate, healthcare, and hospitality projects annually. For 80 years MD+C has built a portfolio of distinctive commercial and residential clients. MD+C provides clients with designing, permitting, and construction services in a complete package. Our team of designers, managers, and craftsmen maintain the highest standards for built environments.